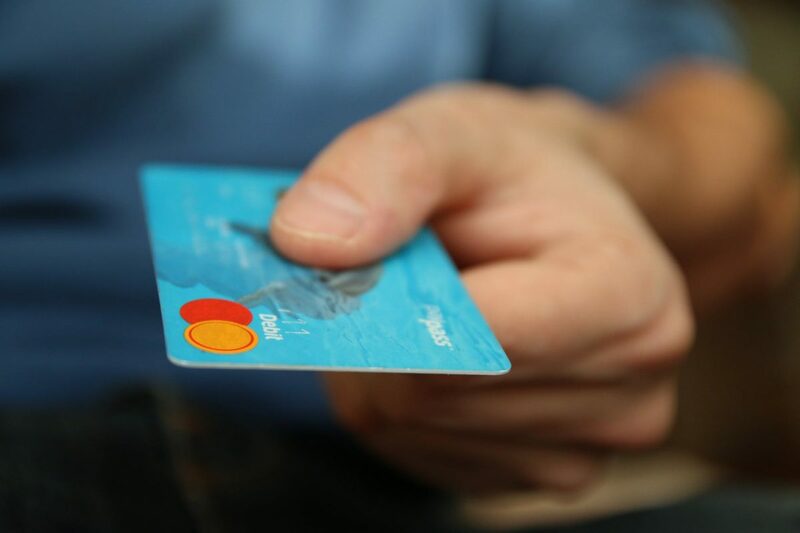 Transactions are an integral part of a business. Some transactions are simple, however most are complex and grow over time into unwieldy processes that are no longer competitive and drain resources. Insurance and banking transactions, for example, can take days or weeks to complete, resulting in customer dissatisfaction and extra costs. Defects in transactional processes are difficult to identify and can impact subsequent steps in the process. In addition, details are concealed on computers and desks throughout an organisation. Surprisingly, some of the biggest opportunities and most powerful results in a Lean flow implementation come from service or transactional processes, even in a manufacturing company! Typically at least 70% of the cost of a business is outside of the manufacturing floor, yet these processes are often ignored in process improvement efforts. Whether you need Lean manufacturing, Lean service, or some of both, the Lean flow system provides a comprehensive solution. Although Lean Six Sigma has its’ roots in traditional manufacturing, it also helps to improve back office operations in those same organisations. The Lean methodology is spilling over into services such as finance, public administration, transportation, customer service, insurance and I.T. A process is defined as a set of activities linked together with some type of dependencies ending with an output (deliverables). Multiple inputs can enter the process at different points (activities or operations). So it does not matter if the output is a manufactured product or a completed transaction such as a “One Number Forecast” or “Financial Plan” or “Operational Plan”. The primary difference between manufacturing and non-manufacturing processes is the “Flow Unit” – this is the base unit that flows through the value stream as the value is being added to it. In manufacturing, the flow unit is inventory. In transactional process it may be a document, report (paper or virtual) etc. In some service businesses, the flow unit is the Customer. 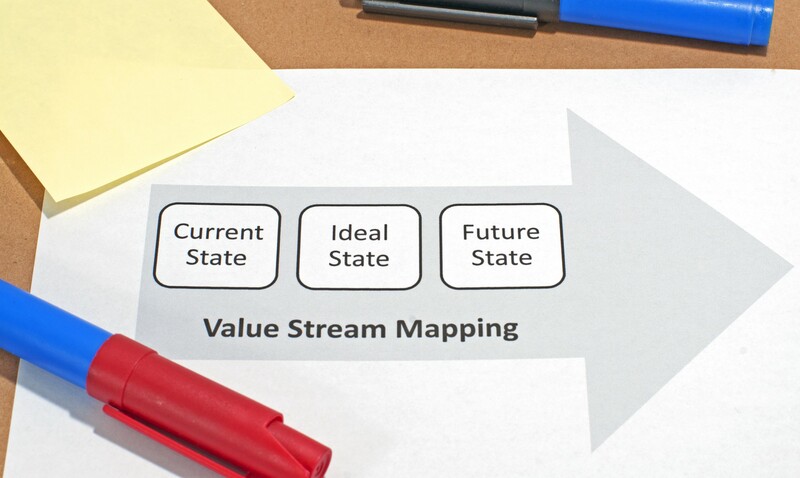 The key in Value Stream Mapping (VSM) is understanding what the ultimate customer values. The tools you use to map a process are just that – tools!. The primary goal of VSM is to visually represent the various activities and their linkages to each other. The team members (process owners) will then identify what is value-add and what is non-value-add. The most basic concept in Lean and Flow process improvement is that all work can be understood and analysed as a process or series of processes. In non-manufacturing environments, we will focus on the “transaction” or customer deliverable to understand process capability and optimisation. Data is gathered to describe the process, so it can be re-engineered to eliminate wasteful activity and focus on delivering the desired results in the most efficient manner. This is as true of a service or administrative process as it is of a manufacturing operation. Lean can help to optimise all service delivery processes by targeting wasteful processes and either removing them completely or move to a more effective state as part of a journey of continuous improvement. Companies in the service sector are constantly under pressure to deliver excellent customer service, faster response times and valuable support for their customers. A service company is very different from a manufacturing company, however it still has many wasteful processes that could be removed or reduced. The key to maximum productivity is a well-designed process run by trained and flexible employees who can follow simple signals that tell them where their skills are most needed at any given time. Lean has made inroads in the Services industry but has considerably more opportunity for implementation. Most of the delay stems from the belief that Lean does not apply to service functions. Although it may seem surprising at first applying the traditional Lean approach works very well in a service industry. 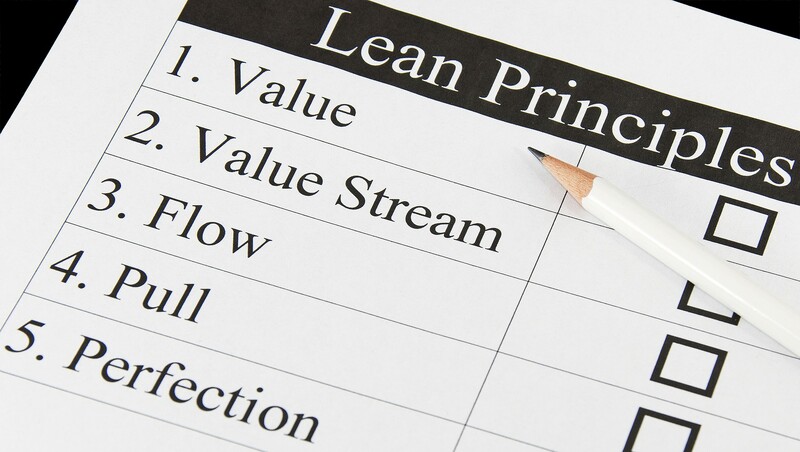 Establishing a culture of Lean is the same as for any other industry. Using Lean in transactional environments calls for a slightly different mindset. Clearly identifying the potential areas for improvement is challenging because almost all of the transformations are done electronically and therefore are privy to only a few people at any one time. Sometimes knowledge of the process may be limited to the step that the person performs and perhaps the previous or next step. No one owns the process and even determining who could potentially own the process is problematic since a wide variety of people have portions of the process under their area of authority. Added to all of these difficulties is the organic nature of the process itself. When organisational changes occur, tasks are transferred to different departments or individuals and some of the knowledge of that transactional process may be lost or distorted. It’s like the electronic version of telephone, where the message is corrupted as it moves from person to person. Since no one person sees the entire process no one recognises the wastes. It is imperative that those working in transactional environments learn to view their tasks as part of an entire process, be able to identify the process and find a way to determine process owners. Obviously this requires collaboration within and across departments as well as the desire and ability to claim responsibility for a process. Another major objection to Lean is that Services are considered a creative, flexible process that cannot be standardised. While there is a kernel of truth to this objection much of the waste in a process stems from the belief that each customer request could or should be handled individually to best meet any possible customer need. In fact, the customer benefits from standardisation in the process because standardisation ensures quality and speed of service. Creativity is needed to design flexible points into a standardised process. The best way to find this combination of standardisation and flexibility is to complete a VSM for the entire process (customer request to customer delivery). This method differs only slightly from a traditional manufacturing Value Stream Map. Many people across several departments may be needed to complete one VSM. It is important to include everyone not only to stay true to the Lean principle of going to those who do the work but also to identify risks, redundancies, opportunities for flexibility and to begin collaborating which will also be needed for the kaizen activities. Lean is an obvious choice for those wishing to be more competitive and improve efficiency in the Service industry. Acclino’s Lean Tools and techniques can improve the customer experience by reducing unnecessary activities and unnecessary IT processes, whilst also providing solutions to cut down on errors, maximise employee empowerment and become more cost-effective. Service companies have so many different processes to their business, that without effective coordination in place, mistakes can easily occur. Every task needs to include a thorough process of planning, writing, designing and proofing to generate a high enough standard of quality for their clients. These ongoing processes are not only extremely time-consuming, but with different tasks being assigned to different departments, project efficiency could also be compromised. Lean implementation can help service companies to streamline their processes by removing tasks that are unnecessary and implementing a much more efficient approach. In doing so, Lean also provides a direct improvement on work quality and therefore provides added value for the customer. Previous Previous post: Could Blended Learning Be The Answer To Your Lean Training Needs?